Here are the 14 wineries (updated April 2019) that are part of this trail. Butera's Billiards is located at 476 West Los Angeles Avenue in Moorpark, offering 10 nicely maintained pool tables, dartboards, trivia (Wed nights) and a nice selection of beers as well as snacks. A popular place for professionals, local dart leagues and the community. Visit buterasbilliards.com for more information or call 805.523.3088. 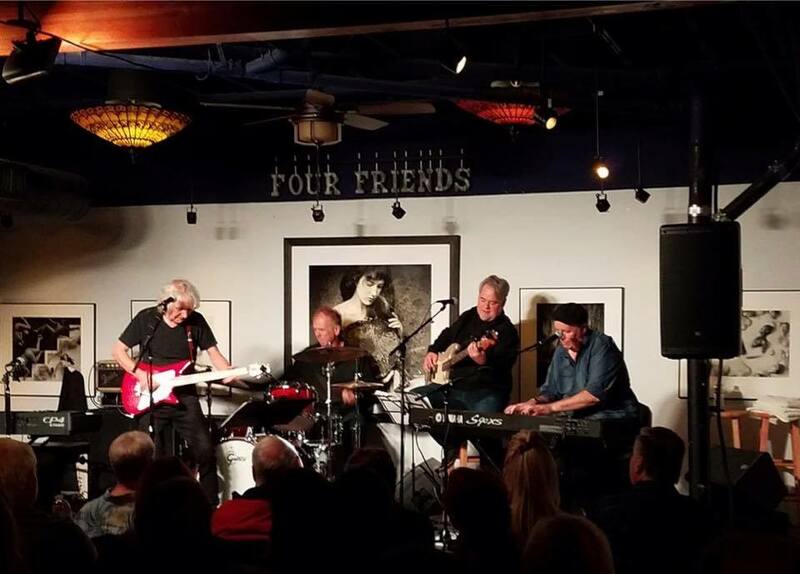 BPP currently partners with Larry Janss and his Four Friends Gallery/Open Borders in Thousand Oaks to bring live music to the Four Friends Gallery. BPP founder Steve Brogden was formerly director of the Thousand Oaks Library, where he brought music performances to the Library for eight years. Four Friends Gallery is located at 1414 Thousand Oaks Boulevard, Thousand Oaks. Upcoming concerts are highlighted below. More information is available and tickets can be purchased in advance at www.brogdenbaypresents.com. Sat, March 30 at 8PM: An Acoustic Evening with Laith Al-Saadi, a final four contestant on The Voice in 2016. $30 online, $35 at the door. Sat, April 27 at 8PM: An Evening with the Honeysuckle Possums, a high-energy, all-woman band playing bluegrass, originals and old-time mountain music. Red Brick Art is a fine art gallery located at 4601 Telephone Rd #112, Ventura with a strong focus on art classes as well as free events and cultural outreach. Exhibits change change bi-monthly and feature the work of talented artists who host workshops at the studio. Artists of all mediums are represented including a wide variety of glass art (fused, blown, cracked and mosaic), clay, stone, metal, mixed media, wood, photography and all forms of painting. Classes for adults and youth are offered each weekend for beginning and intermediate students. Adult classes include photography, Photoshop, watercolor painting, pastel, acryllic painting and mosaics. Additionally, painting parties are offered both at the Red Brick Studio (these classes do not include wine) as well as at local tasting rooms "Paint and Sip" events like Four Brix Winery, Sunland Vintage Winery and Aldabella Custom Crush. NAMBA is a multi-disciplinary performance space located in Ventura’s historic downtown arts district. The programming focus is on culturally relevant stories that serve our community. Namba provides the community with an intimate experience where artists entertain and share stories through artistic collaboration, unique programming, showcases, workshops, and classes. Learn more at nambaarts.com or call 805.628.9250. Located at 28914 Roadside Drive in Agoura Hills, Whizin Market Square is an eclectic mix of shops, eateries, services and entertainment. As of January 2015, restaurants and entertainment at the Square include The Canyon Club, Wood Ranch BBQ, Tifa Chocolate, Plata Taqueria, Carrara Pastrie, Numero Uno and Blue Table. You will find a variety of very unique, non-franchise type stores in here, including antiques, The Flying Owl Paper Boutique, beauty stores and more. Visit the Whizins Facebook page at www.facebook.com/WhizinMarketSquare and website at www.whizinmarketsquare.com for more information. 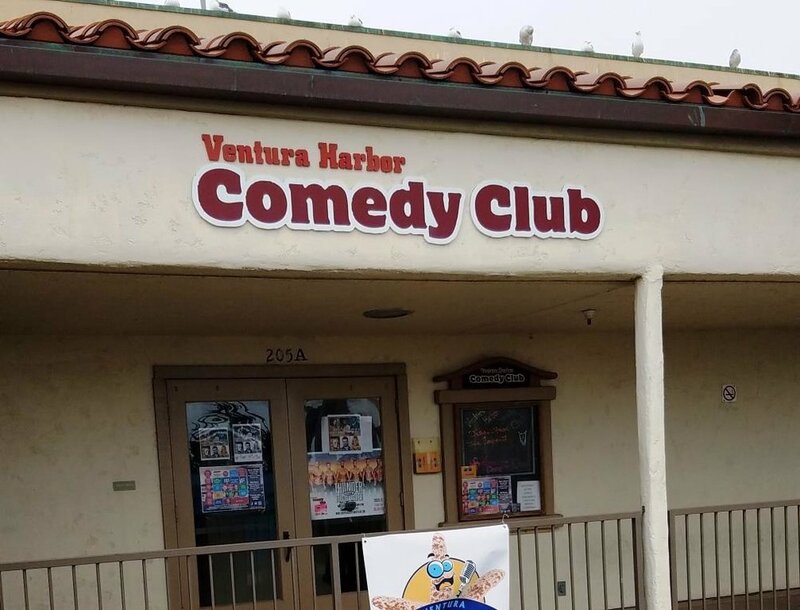 Located in the Ventura Harbor Village, 1599 Spinnaker Drive, Ventura, Ventura Harbor Comedy Club offers nightly comedy shows, comedy workshops, "funny fundraisers," and other events. The club is owned by two distinguished headliner comedians, Andres Fernandez and Randy Lubas. Check out the lineup at www.venturaharborcomedyclub.com or call 805.644.1500. Must be 21 and over. Dinner and drinks are served here along with laughs! Players Casino is located in the Ventura Auto Mall area just off the 101, with 13 poker tables and three blackjack tables open 24/7. Players Casino is one of only about 70 active cardrooms in the state of California. Although it is called a casino, technically is it a cardroom. There are over 60 Indian casinos in the state that can offer games other than card games, such as roulette, slots and craps. Another distinction is that in a cardroom, you cannot play against the house; you can only play against other players. 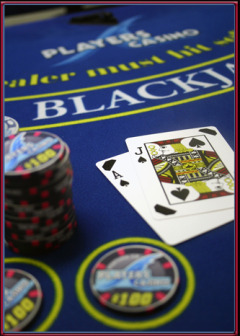 Games offered at Players Casino include Texas Holdem, “21st Century Blackjack,” “EZ Baccarat,” Pai Gow Poker and Three Card Poker. Other offerings include tournaments, live music and The Patio Restaurant. For more information, visit www.pcventura.com or call 805.643.1392. Located at 6580 Auto Center Drive, Ventura. Painting with a Twist is located at 2298 E. Ventura Boulevard in Old Town Camarillo (at the intersection of Arneill), next to the El Rey Cantina. Painting with a Twist provides customers with paint, a canvas and brushes that lead to a fun evening with friends and a finished piece of art. And yes, you receive professional instruction to create your work of art as well as access to wine. Looking for some of the top music acts of the 1970s, 1980s and 1990s nearby in an intimate setting with a great dinner? Visit the Canyon Club in Agoura Hills! Tickets vary in price based on the artist and reserved seating requires dinner reservations. Unreserved seats typically require a two drink minimum. The dinner menu includes prime rib, salmon, sauteed chicken breast, filet mignon, with a variety of mouth watering starters, salads, sides and desserts. Dinners range in price from roughly $20 to $40. Performers have included Kansas, Styx, Cheap Trick, Berlin, Peter Frampton, Blues Traveler, Boys II Men, Hootie and the Blowfish, Pat Benatar, Bonnie Tyler, Don Rickles, Davy Jones of the Monkees, The Smothers Brothers, B-52s, Air Supply, Rick Springfield, John Hiatt, Frankie Valle, Leon Russell, Jonny Lang, Foreigner and more. You will also find some well-known comedians visiting The Canyon Club from time to time, Paul Reiser, Adam Carolla, Dana Carvey and Craig Shoemaker. Visit www.canyonclub.net or call 818.879.5016 for schedules, ticket sales, menu and other information. Located at 28912 Roadside Drive, Agoura Hills. DISCOUNTED TICKETS FOR UPCOMING CANYON CLUB SHOWS AT GOLDSTAR.COM. The Santa Barbara Bowl, located at 1122 N. Milpas Street, Santa Barbara, was originally built in 1936 and today with its capacity of nearly 4,600 people (4,974 for general admission standing) is the largest outdoor amphitheater in Santa Barbara County. The Bowl is a beautiful outdoor setting with views of the ocean and the city. It offers top notch acts on a year-round basis. Taking a look at the schedule in July 2016, I see Bonnie Raitt, Steve Martin & Martin Short, Journey, Dolly Parton, Jackson Browne, Amy Schumer, Blink 182, The Who (yes, the real band), Ryan Adams, Van Morrison and more. In July 2018, I see the Steve Miller Band and Peter Frampton, Jack White, David Byrne, Jason Mraz, Alanis Morissette, Sting and more. The parking lot utilized by the Bowl for patrons is located at Santa Barbara High School, less than 200 yards away from the venue. A short climb beside stone masonry walls through a beautiful glen with old oak trees leads to the amphitheater. Due to the historic design of the Santa Barbara Bowl, it is recommended that all patrons arrive early- 90 minutes before scheduled start of concert- to ensure ease and comfort of parking and entry to venue. For more information and to buy tickets visit www.sbbowl.com or call 805.962.7411. Nice views from the Santa Barbara Bowl too! Since 1981, talented kids between the ages of 10 to 19 have performed with The Young Artists Ensemble in Thousand Oaks. Over 6,000 people attend YAE events each year and shows are all family friendly. YAE presents six or seven productions each year. Performances take place at the Hillcrest Center for the Arts, 403 West Hillcrest Drive, Thousand Oaks. Phone is 805.381.2747. For tickets, contact the box office at 805.381.1246 or visit www.yaeonline.com. Libbey Bowl and Libbey Park are located in the heart of Ojai near the corner of Ojai Avenue and Signal Street. Libbey Bowl was originally built in 1957 and has been used for the annual Ojai Music Festival, Storytelling Festival, Ojai Day event, holiday celebrations and many other community events through the years. Beginning in 2008, the bowl was renovated and in 2011 was reopened with a new look and design. It accommodates 1,300 people. Learn more about Libbey Bowl at www.libbeybowl.org. Both Libbey Bowl and Libbey Park are named after Ojai's greatest benefactor, Edward Libbey, a glass manufacturer from Toledo, Ohio. Libbey donated the park to the city in 1917. In front of the park is a shaded pergola along the main "arcade" section of Downtown Ojai. The park contains a community playground that was designed and built with the help of over 500 volunteers in 2015. It contains a beautiful new play structure and other features that leapfrog what used to be a fairly outdated play area to one of the nicest ones in Ventura County. Visit THIS POST for more information. This is a photo of the OLD play structure that was replaced in October 2015. There are also plenty of benches and seating areas, restrooms, shade trees and tennis courts at Libbey Park. Learn more on the City of Ojai website at www.ojairec.com/?page_id=190.